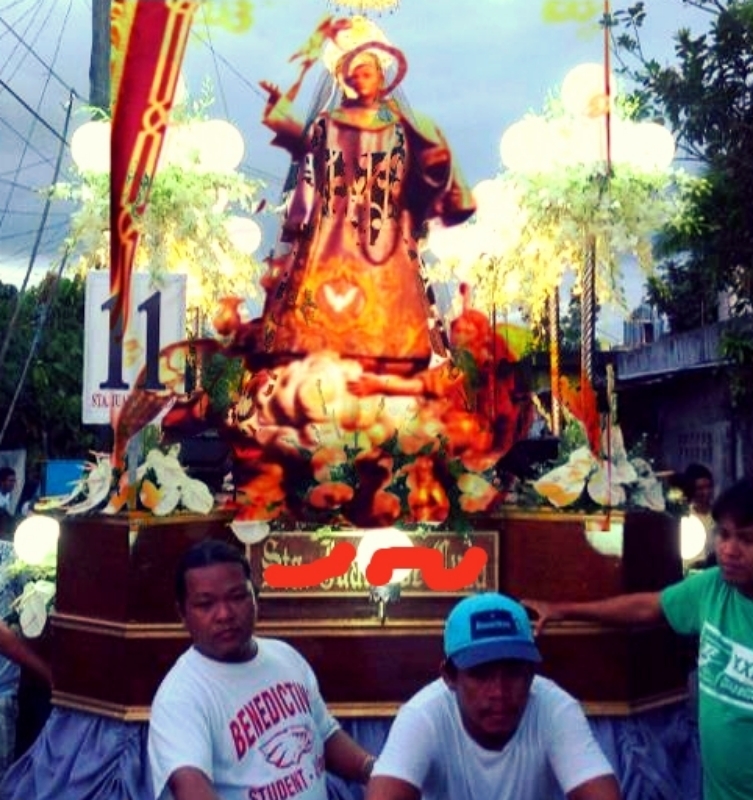 With the arrival and installation of the 15th century relic of San Pascual Baylon, Guinarona in Leyte, Philippines, has entered the pilgrimage tourism zone. It is expected that San Pascual devotees will flock to Guinarona in large numbers to offer candles and have their prayers said. So that in the meantime that the original San Pascual image has not returned (it has been lost since June 2010) we are going full throttle with the San Pascual Baylon de Guinarona Image Project 2013. A new San Pascual Baylon image. Figure 1 is a rendering of the new image in its carroza. Figure 1. A rendering of the new San Pascual Baylon image for Guinarona, Philippines. The image is modeled after that of Basilica San Pascual Baylon’s in Vila-real, Spain. Note that the San Pascual relic came from Basilica San Pascual Baylon, so it won’t hurt upgrading to that standard, if only for the sake of the saint’s fans and devotees who are feeling a void with the loss of the old Guinarona icon. The components of the project are: (1) Image proper, five feet seven inches in height, (2) A base of angels, two feet high, (3) An ornate garment, dark brown in color and (4) a carroza with lighting fixtures and space for an electric generator. Our hope is that our readers who may or may not be followers/devotees of San Pascual’s, but whose heart likes the project, will assist us and chip in. Contact details.